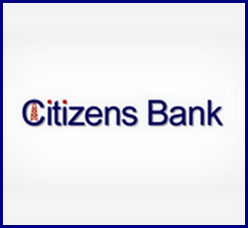 Kilgore, TX: Citizens Bank of Kilgore has chosen EZswitch® G4 as the new online interface connecting their Fiserv Precision core system to the Elan EFT network. First chartered in 1949, Citizens Bank’s hometown approach to banking has long been focused on devotion to community and personalized service. Now with access to 11 full service Banking Center locations and ATM’s, the bank’s customers have access to a full array of financial services and products delivered with the strength of a community bank that has approximately $430 million in assets, $335 million in deposits and $53 million in capital. Globally proven to lower costs, boost revenues, and improve operational efficiency, the upgrade from CSFi’s EZswitch® 2010 Plus to EZswitch® G4 will ensure that the bank and its cardholders are relying on the most secure and scalable end-to-end debit card management solution available. The installation will also include implementation of CSFi’s Sentinel™ II Alert Notification System, integrated support for activation of full future EMV functionality and utilize CSFi system integration services for the conversion process.